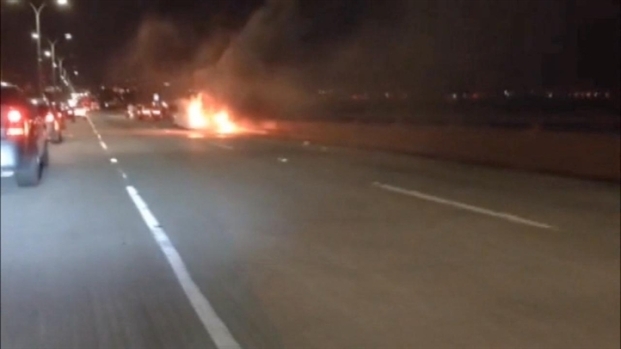 A bridal shower turned tragic on Saturday when five women died after the stretch limousine they were riding in burst into flames on the San Mateo-Hayward Bridge. 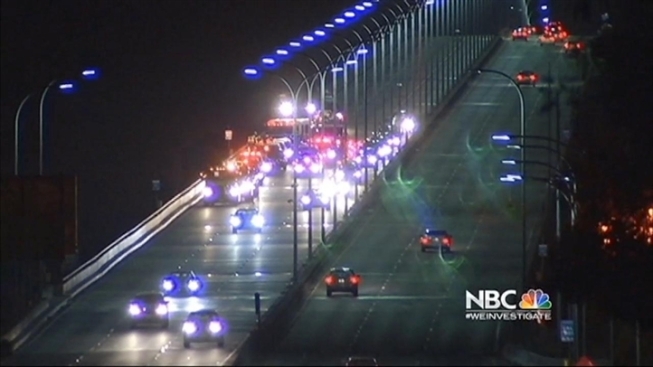 Five woman died, including bride Neriza Fojas, Saturday night after the limo they were riding in caught fire on the San Mateo Bridge. Brown said he thinks the 10 p.m. fire may have been triggered by an electrical problem. A bride was among the women killed. 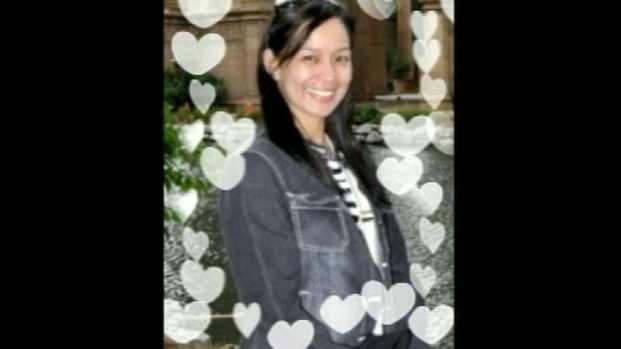 The victim's sister-in-law, Lovela Nicolas, identified the bride as Neriza Fojas. A family member told NBC Bay Area she was recently married here in the United States, but was also planning a wedding in the Philippines on June 19. San Mateo County Coroner Robert Foucrault told NBC Bay Area's Diane Dwyer that the scene last night was the worst he's witnessed after 20 years on the job. Fojas was a registered nurse at Fresno Community Regional Medical Center, according to her family. 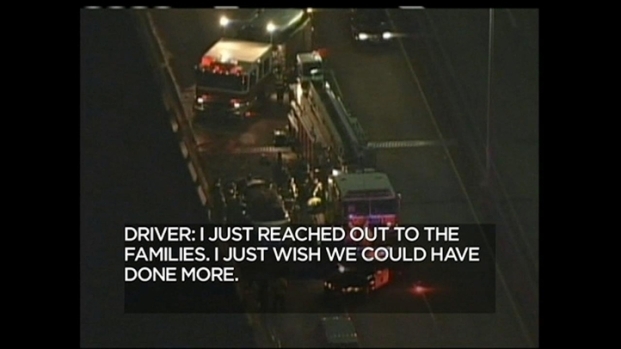 The limo company, Limo Stop released a statement, saying it was "deeply saddened" by the tragedy. "Limo Stop, Inc. will do everything possible to investigate and assist authorities in determining the cause of this fire in order to bring forth answers and provide closure to (the) victims and their families," the statement added. This is a video clip from a person who drove past the limo that caught fire Saturday night killing five women. Four other people in the limo escaped with burn and smoke inhalation injuries, California Highway Patrol Officer Art Montiel said. The car's driver - Brown - was unhurt. As of Monday morning, Valley Medical Center in San Jose said that Jasmine Desguia, 34, of San Jose and Amalia Loyola, 48, of San Leandro were still in critical condition. Stanford Medical Center would not discuss the details of the two remaining passengers: Mary G. Guardiano, 42, of Alameda and Nelia Arrellano, 36, of Oakland. The CHP credited good Samaritans who stopped and helped some of the women get out. Orville Brown, 46, of Oakland talks about the harrowing tragedy May 4, 2013 on the San Mateo Bridge where five women died and four were injured. The coroner on the case told a harrowing tale of the fire and desperate attempt to get out of the limo. San Mateo County Coroner Robert Foucrault told NBC Bay Area's Diane Dwyer that the scene was the worst he has witnessed in his 20 years on the job. He said it was obvious to him that the women were trying to get out of the vehicle and were overcome by smoke. "My understanding is that three passengers got out the side back door on the drivers side, and one made it out the passenger compartment window successfully - to the driver's compartment," Fourcrault said. The coroner said three of the women made it out the back door on the driver's side. One made it through the divider into the driver's area. That is different than the driver described. Fourcrault said five women did not survive and were found near the front of the passenger compartment as if they were trying to get to the driver's area through the privacy divider. The coroner's office plans to use dental records Monday to positively identify the victims. The highway patrol is also planning a news conference Monday. The highway patrol officer on the scene Saturday night said the women were "probably killed by the fire," though the cause of death has not been confirmed. 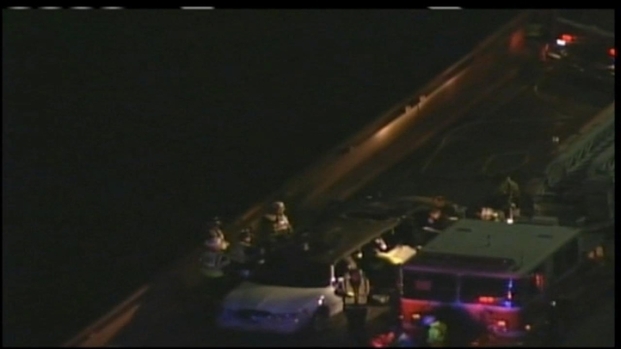 Witnesses told NBC Bay area the white Lincoln Town Car was not involved in an accident prior to catching on fire. It was not clear what could have sparked the flames. The car was driving from Alameda to a hotel in Foster City. A viewer named David Solomon sent in the still photo above. The photos show the fire was in the rear of the vehicle. The fire was first reported around 10 p.m. in the third lane of westbound state Highway 92, according to the CHP. A viewer sent us the below video from the scene. He said he had no idea people were trapped.